EDIT: Happy April Fool's guys. Hey everyone! To kick off the new month, and in an attempt to make things fresh for us again, I've decided to kick off a few changes with Dimensional Death. First and foremost will be the guild name. While we've flown under the banner of this well-loved Blue Mage spell now for almost 5 years(WOW! ), I feel it's time to move away from this to start new. We'll be changing the guild name from "Dimensional Death" to a name related something many of us have held in high regard for a while now. That said -- the new guild name is "Orbital Friendship Cannon." In going with our new name, and ranking system, we will also be 'sporting a new tabard as well. Screenshot! 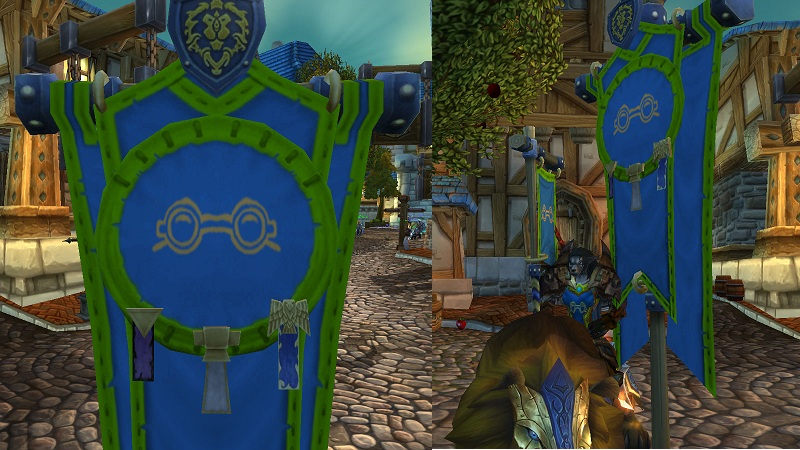 As you can see, the tabard design is inspired by the one and only Wonderbolts! It's obvious from the Blue with Yellow trim, and the goggles. will change later in the day, as well. I hope you guys are looking forward to these changes as much as I have. I feel having a fresh new identity going forward into Mists of Pandaria will help put the past behind us and have us moving forward into a brighter, friendlier future as a guild in which we truly do embrace the fact that friendship is magic. Re: New month, new expansio, new changes! ... I have a problem with the new guild rank system... 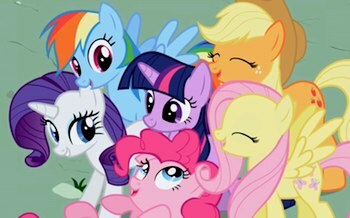 Highest rank is supposed to be best pony, but you appear to have horrible spelling of Twilight Sparkle. Otherwise, I wholeheartedly agree with these changes. Page created in 0.265 seconds with 48 queries.